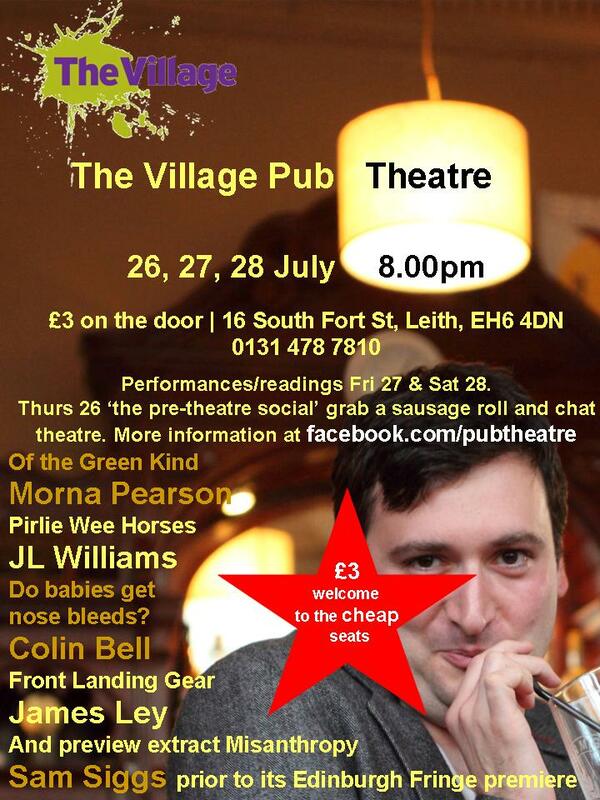 Getting really excited about this month’s Village Pub Theatre! There’s a social this evening, and readings of new work by Morna Pearson, James Ley, Colin Bell, Sam Siggs and myself on Friday and Saturday. Hope to see you there!